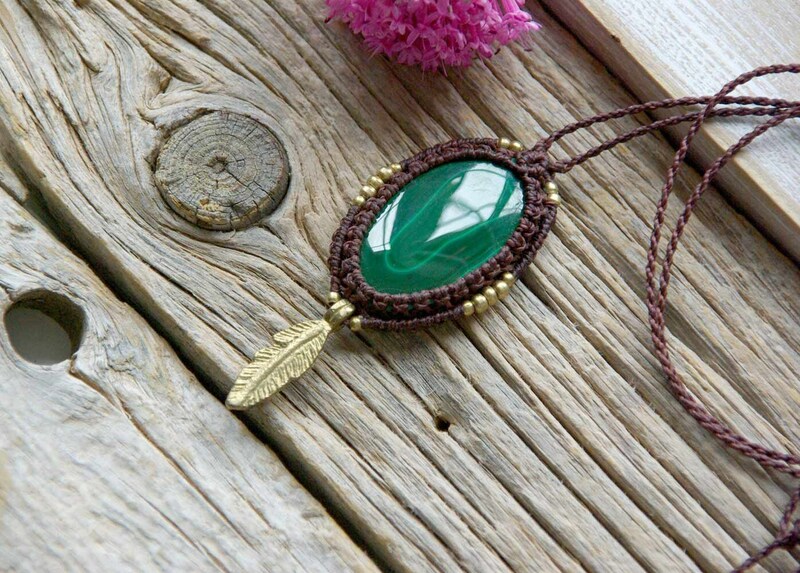 This tribal pendant made with the MACRAME technique is a unique piece. 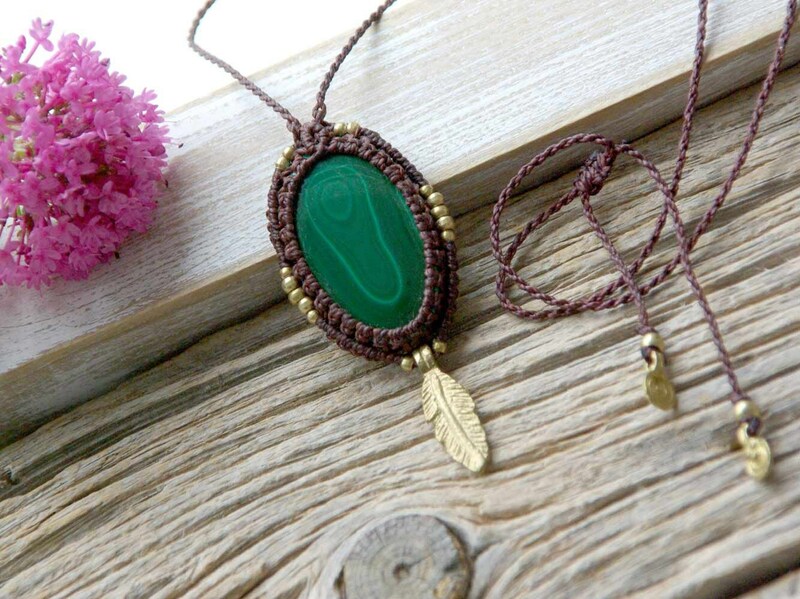 The work starts from a beautiful MALAQUITA, set in waxed brown thread. 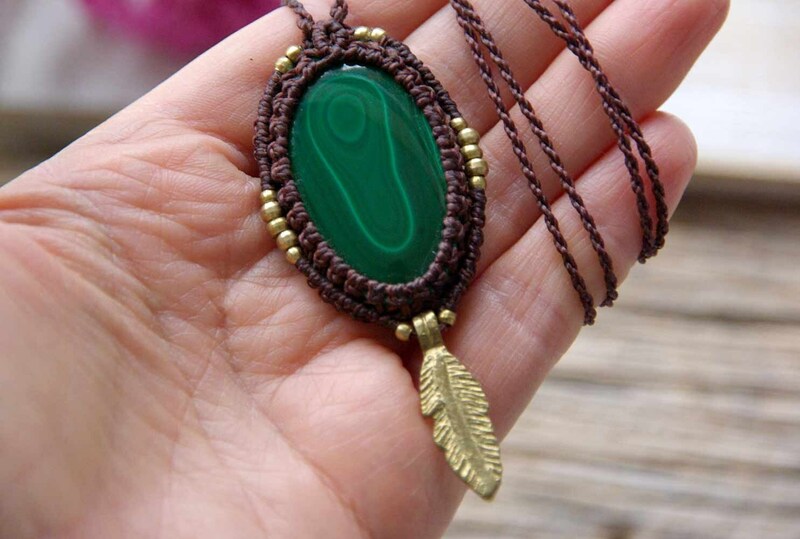 The macramé is completed with small brass beads of 1st quality; This alloy does not contain nickel and can get wet so it is perfect for jewelry. 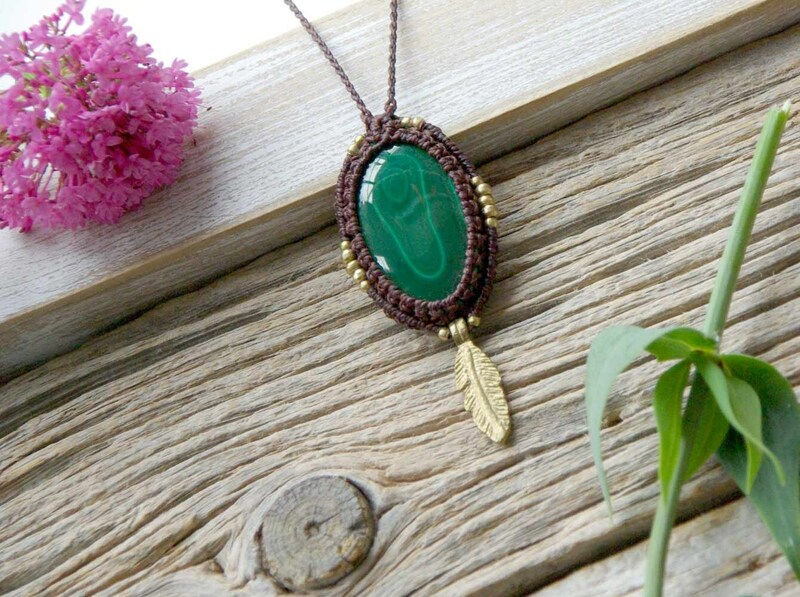 From the pendant hangs a brass feather made in India by the method of lost wax. 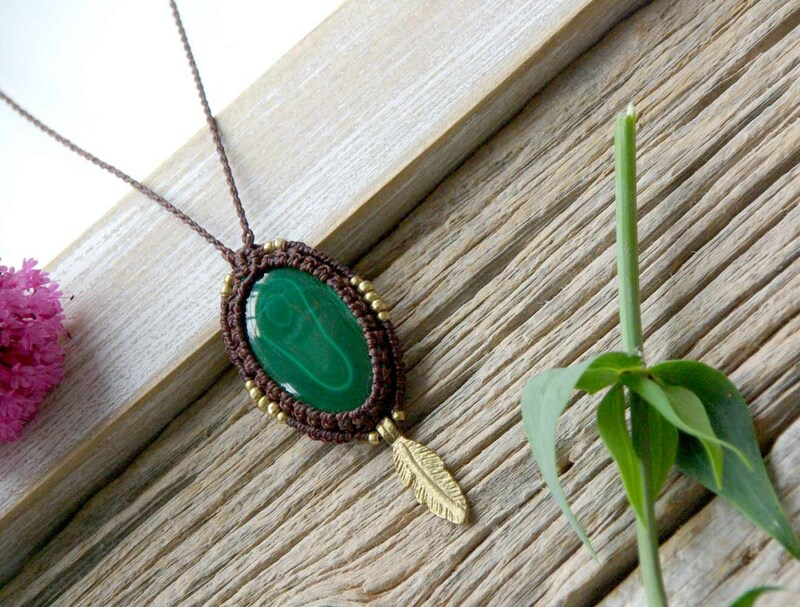 The pendant fits with a sliding knot and can be adjusted to the desired height. The materials are of 1st quality. Made by Iñaki and Ainhoa ​​in the quiet Island of El Hierro in May 2018.